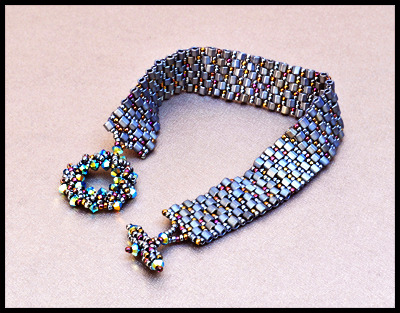 THE BEST BEAD SHOW™ Class: Tic Tac Oh! Who's got the X's? And look who has the "oh's"! And there will be many when you wear this bracelet. Not only will you learn 2-drop Peyote & regular Peyote Stitch, you'll accomplish making a crystal toggle that is just so beautiful ! What color are you going to choose? Kit Includes: Crystals, seed & hex cut beads, beading needles & thread, bead mat & more!